After losing the toss we were put into bat. Richmond in the field used 9 bowlers all bowling very well and tidily. The pick being Alex Nimmo with figures of 2-1-4-3 with 2 wickets coming in his first over, along side Cameron Clarke with 2-0-3-2 and a wicket for Tom Van Niekirk with figures of 2-1-2-1 back up by Kai York with no runs coming off his 2 overs figures of 2-2-0-0. We also were very sharp in the field with 4 yes 4 run outs I'm sure that some training may have paid off? With Richmond dismissing Darlington RA for just 38 runs. 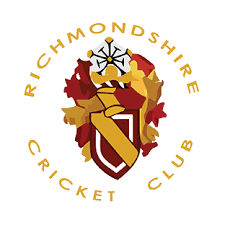 Richmondshire winning by 93 runs. Well done to All and thank you to Mr Nimmo for scoring.